“Hindsight says that was the wrong thing to have done,” says Reverend J.C. Shoaf, owner of the monument company that repossessed the marker. 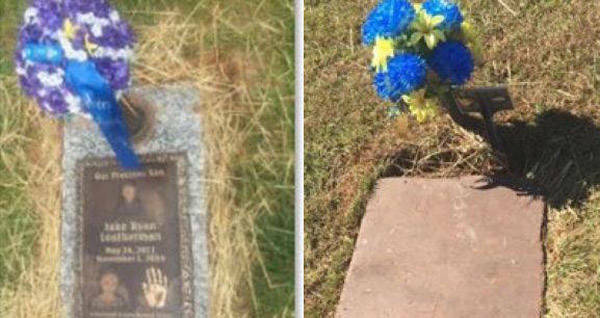 After a North Carolina family was unable to pay their bills, the grave marker for their 5-year-old son was repossessed, leaving the grave only covered with a plywood slab. 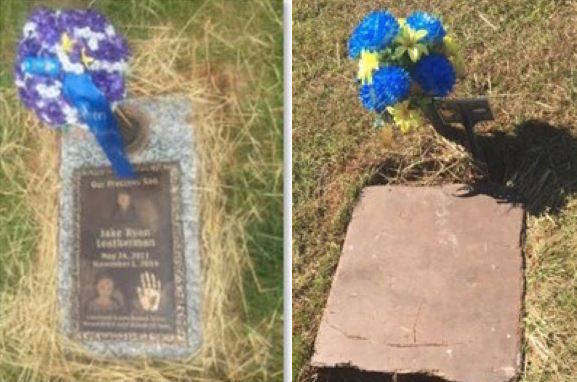 The Charlotte Observer reports that earlier this month, the parents of Jake Leatherman visited his gravesite only to discover that the monument marking their son’s grave had been removed, and the only thing remaining covering his grave was mud and a slab of plywood. 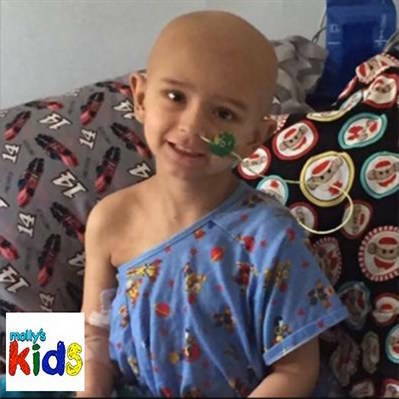 Jake, a 5-year-old child who lost his battle with Leukemia in 2016, had been laid to rest at Hickory Cemetery in Hickory, NC. His parents, Wayne and Crystal Leatherman, purchased a grave marker from the Southeastern Monument Company, but the marker was repossessed after they failed to make payments on it. “He repossessed it, like it was a car,” said Crystal. The owner of Southeastern Monument Company, Reverend J.C. Shoaf, says that he and the family had been engaged in a financial battle, but that removing the marker was the wrong move. “Hindsight says that was the wrong thing to have done,” says Shoaf, a Baptist minister. However, he says, the problem between him and the family built to this conclusion. He says that when the parents first called they wanted a smaller, simpler marker, but chose to purchase an upgrade the next day which added 400 pounds to the size of the marker and $2,500 in additional costs. The Leathermans say they were unaware of these additional expenses. Shoaf says that they still owe his company $918. Courtesy Crystal LeathermanJake Leatherman in 2016. He claims that after many phone calls, multiple messages, and promises of payment being delivered, he never received the money that was owed. It was at that point that he decided to repossess the grave marker. “You’ve got to pay your bills, and a company can’t keep on giving away markers, giving away markers, and pay your bills and stay in business,” Shoaf said. Following the backlash he has received over this repossession, Shoaf concludes that he made a bad decision. He also says that he understands some of the pain of the Leatherman family. “I lost a child too, I know what it is to lose a child,” he said. He says now that he’d like to return the grave marker, and just needs the permission of the family and the cemetery to do this. Next, read about the Kentucky man who tried to rob his own grandma’s grave and failed miserably. Then, learn how “Ice Bucket Challenge” creator, Pete Freates, can not even afford to pay his own medical bills.